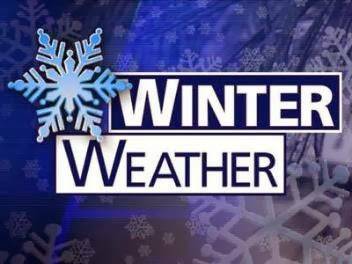 GALION — A complex winter storm could drop six inches of snow or more on north central Ohio, according to an early forecast from the National Weather Service in Cleveland. The snow will start Monday evening and last through Tuesday evening. After a low pressure area passes, lake-effect snow could continue for another day as cold winds blow across the Great Lakes. Snowfall accumulations will be greatest in the snowbelt area of northeast Ohio and northwest Pennsylvania. A map on the National Weather Service website forecasts 4 -6 inches of snow for Crawford County and the same for the southern half of Richland County. The northern half of Richland County could get 6-8 inches. The snow tapers off further south and Morrow County can — at this time — expect up to 3 inches of snow. This forecast will be updated several times in the next couple days. A winter storm watch is in effect from Monday afternoon through Wednesday evening. Driving conditions will be difficult because of poor visibility and snow-covered roads. Winds are expected to be steady from 10-20 mph with gusts to 30 mph., which could make visibility as low as a quarter-mile at times. Temperatures will be in the 20s during the bad weather.